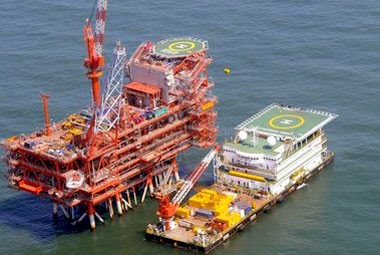 THE NDA government is planning to sell around 149 small and marginal oil and gas fields of ONGC to private and foreign companies and allow the state-owned firm to focus only on big fields. On the anvil is some kind of extension of the Discovered Small Field (DSF) bid round where discovered and producing fields of Oil and Natural Gas Corp (ONGC) are auctioned to firms offering the maximum share of output to the government, PTI reported quoting some sources. tonnes of crude oil and 333.46 billion cubic meters of gas of national oil companies for handing over to private firms in the hope that they would improve upon the baseline estimate and its extraction. The plan, however, could not go through as ONGC strongly countered the DGH proposal with its own suggestion that it be allowed to outsource operations on same terms as the government plan. The report said the current plan started as a follow up of the October 12 meeting called by Prime Minister Narendra Modi to review domestic production profile of oil and gas and the roadmap for cutting import dependence by 10 per cent by 2022. At a meeting, the ministry made a presentation showing that while 95 per cent of ONGC's production was from 60 large fields, 149 smaller fields contributed to a mere five per cent. After a six-member committee under Niti Aayog CEO Amitabh Kant was set up to give a proposal on the same. ONGC, however, is opposed to the plan as it feels it should be allowed the same terms that the government extends to private and foreign firms in DSF. The government gave out 34 fields to private firms by offering them pricing and marketing freedom for oil and gas they produced from the fields in the first round of DSF. A second round of DSF with 25 fields on offer is currently under bidding. ONGC feels it too should be allowed to seek revenue sharing partnership for its fields. Field operations could be outsourced to foreign or private firms that offered the highest revenue or production share over and above a baseline production. The ministry is reasoning that the areas where the fields discovered by ONGC were given to the state-owned firm on nomination basis. In the proposal that was mooted in October last year, the plan was to give out 60 per cent stake in 15 fields -- 11 of ONGC and four of Oil India. These included Kalok, Ankleshwar, Gandhar and Santhal -- the big four oilfields of ONGC in Gujarat. The DGH too had identified 44 fields of ONGC and OIL, which could take on partners for production enhancement work where bidders would get the 'tariff' that they bid as a return for increasing the output 'over the baseline production' for an initial period of 10 years. The oil ministry is understood to be unhappy with the near stagnant oil and gas production and believes giving out the discovered fields to private firms would help raise output as they can bring in technology and capital. The oil ministry has been asked by the prime minister to cut dependence on oil imports by 10 per cent by 2022 over 77 per cent in 2014-15. But, the dependence has only increased and is now over 83 per cent.